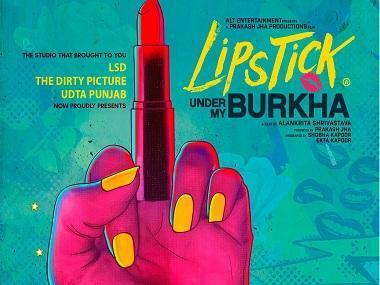 Alankrita Shrivastava's film Lipstick Under My Burkha will be screened at the Jio MAMI film festival. The Prakash Jha produced film, which premiered at the 29th edition of Tokyo International Film Festival is the second feature film from director Alankrita Shrivastava, and is set in a small town India. We see the struggles of four women, trapped in their worlds, committing secret acts of rebellion. 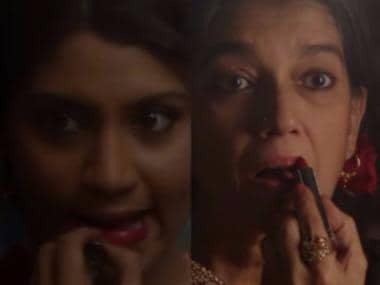 The feminist drama stars Konkona Sensharma, Ratna Pathak Shah, Aahana Kumra and Plabita Borthakur. The protagonists are: A college girl who struggles with issues of cultural identity and her aspirations to become a pop singer, a young beautician seeks to elope with her lover and escape the claustrophobia of her small town an oppressed housewife and mother of three lives the alternate life of an enterprising saleswoman and a 55-year-old widow rediscovers her sexuality through a phone romance. Caught in a conservative society, these women set forth to break the mould, in search of a little freedom. "The landscape of small town India is rapidly changing, and women are finding the courage to think about what they truly want. Their secret dreams and veiled desires - just on the verge of breaking out. It is this point of transition that Lipstick Under My Burkha explores." "Though locally rooted, it is a story with universal resonance." said Shrivastava. Shrivastava also talked to The Hindu about the context of the film, "I wanted to explore the feeling of not being free and looking for change from within. It is something that many women grapple with"
The film is part of the 2015 Work in Progress section at the Film Bazaar organised by the National Film Development Corporation of India.